Fancy and luxurious badges for your classy hen party. 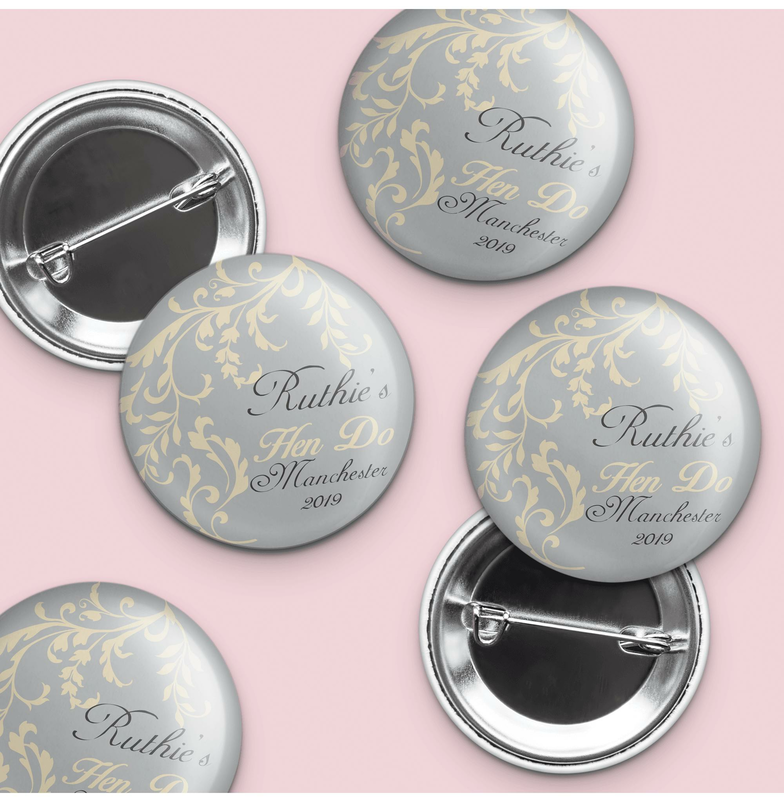 These hen party badges have been designed with you in mind so that you can go out on your hen party looking beautiful. Build unity in your group by wearing these personalised hen party badges. By wearing them together, everybody you meet will know who you are and that you need treating extremely well, after all you are celebrating a very special occasion and everybody needs to know! These quality hen badges look lovely and have a safety pin back for easy attachment. Showing our 3 Hen Party Superstore Personalised Hen Party Elegant Badge reviews with an average rating of Excellent. Would you like to write a review? I ordered these to acknowledge the hen do of my best friend who was determined she didn't want anything 'hen do like'. These badges are classy, beautifully done & she is going to love them. Thank you!! They look classy and elegant looking, the writing is easy to see and read. Can’t wait for my friend to see them! They came really quick! I wanted something personal, elegant and a keepsake from the event and the badges fitted the specification. They arrived exceeding my expectations they are excellent quantity and a good size. The delivery was 3 days even though they had a personal message applied on them. They arrived safely packaged so no damage. I would defiantly use and recommend this company again.